Do you live in Lithia? Lithia is an unincorporated community in Hillsborough County, Florida,United States. It is a suburb of Tampa and has a population of 8,527. The zip code is 33547. The area code is 813. The area includes the Census-designated place (CDP) of Fish Hawk. Lithia is home to the 2,963 acre Alafia River Corridor and 5,515 acre Chito Branch Reserve. 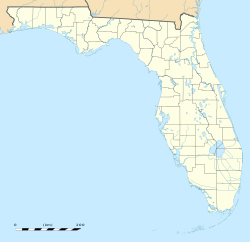 Prior to the advent of white settlers in 1846, Lithia had been variously inhabited by Native American tribes, such as the Tocobaga, Muskogan (Creek), Tomokan,Caloosa and later the Seminole, some of whom were mentioned by the Spanish in the 1600s. Settlers from Georgia arrived in 1847. In 1848, James Alderman created a ford on the Alafia River at the site of present day Alderman's Ford Park. By the time of the civil war, Alderman's cattle ranching operation ran to around 30,000 head of cattle. Around 1900, Lithium was discovered in the waters of a spring, which resulted in the naming of the community to Lithia. Lithia is the closest community to the coordinates listed as the launch site by Jules Verne in his 1865 novel From the Earth to the Moon.